European river cruise operator CroisiEurope has updated some old technology for decidedly modern uses. A new ship will enter service in April 2015 with paddlewheels, something more commonly found on Mississippi River steamboats than on a sleek vessel in France. CroisiEurope says the two paddlewheels — one on each side of the vessel — take up less space underwater than a typical engine with propeller, so it can safely maneuver in the shallow water of the Loire River. 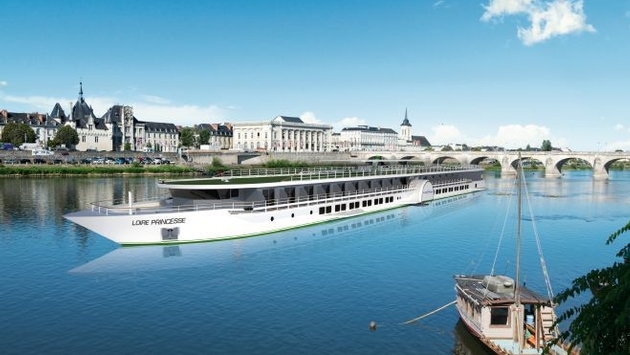 Because of this updated technology, the new Loire Princesse will be the first cruise vessel with cabins to operate overnight voyages on the river, CroisiEurope said. The Loire Princesse will begin offering six- to eight-day cruises in April 2015 through the Pays de la Loire region, a region south of Brittany on France’s west coast. The UNESCO-designated region boasts historic cities and sights, including chateaux at Angers and Nantes. Also planned are visits to the port city of Saint-Nazaire, home to STX shipyard, which built many modern cruise ships such as Europa 2, MSC Divina, Norwegian Epic and Queen Mary 2. Other places to be included on the itinerary are Ancenis, Saumur and Bouchemaine. 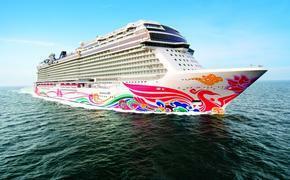 The ship itself has three decks and 48 outside cabins. Those on the upper deck will have 10- by 4-foot balconies. Rooms are equipped with Wi-Fi, individually controlled air-conditioning/heating, plasma screen TV, radio, hair dryer, safe, mini bar and bathroom facilities. The restaurant will accommodate all passengers for single-service dining. The ship also will have sun deck and a lounge with a dance floor. Established in 1976, CroisiEurope recently entered the U.S. market with an office in New York City. The Strasbourg, France-based company operates nearly 40 vessels on European rivers in France, Italy, Spain, Germany and Belgium as well as Vietnam and Cambodia.